Get your tickets for Farm-to-Fork Fall Fundraiser and support Next Move! 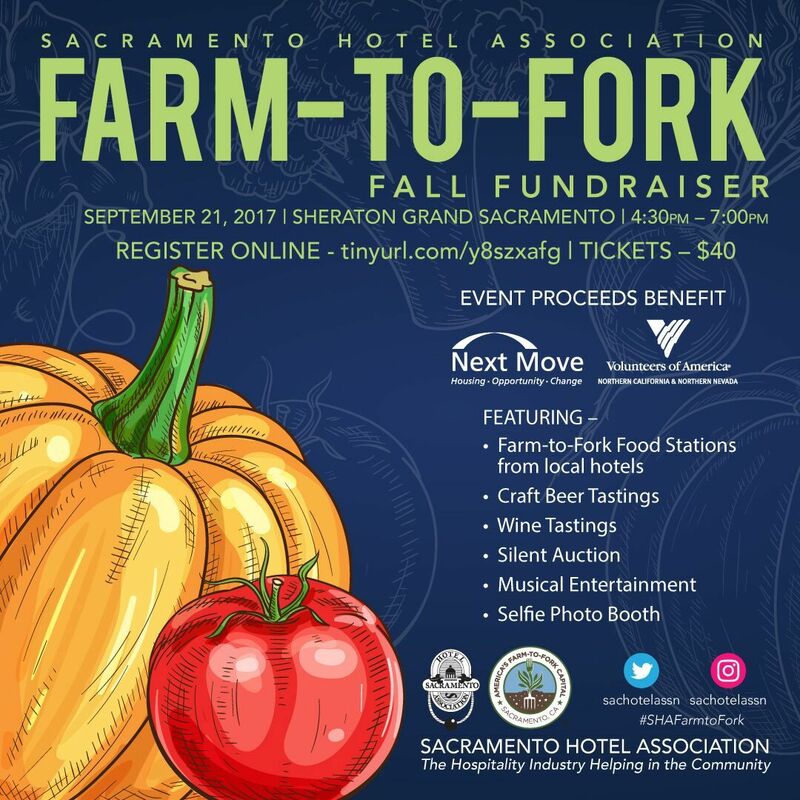 The Sacramento Hotel Association’s Farm-to-Fork Fall Fundraiser (yes, we love the alliteration) is Thursday, September 21 at 6pm, held at the Grand Sheraton Hotel, and proceeds will benefit Next Move! Get your tickets here: www.tinyurl.com/y8szxafg and join us for a fun and delicious evening!